Dogster resident trainer Annie Phenix explains how Cesar Millan’s fear-inducing methods harm instead of help dogs. Do you enjoy being afraid? I mean really afraid for your safety and well being? Engaging the flight or fight response system is stressful. It takes a toll on the body, no matter if that body belongs to a human, a dog, or a pig. Puppies and dogs do not arrive in our lives already understanding our house rules. If you have a new dog in your life, spend time now laying down a foundation that will serve both of you for the rest of the dog’s life. 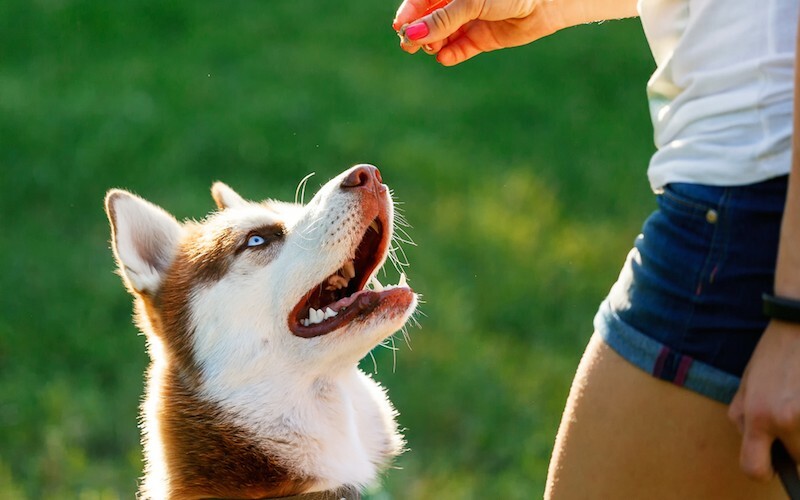 Â Follow these tips to help your puppy develop a positive foundation for socialization and behavior. Puppies and dogs do not arrive in our lives already understanding our house rules. If you have a new dog in your life, spend time now laying down a foundation that will serve both of you for the rest of the dogâ€™s life. Since a dog cannot sit and jump at the same time, teaching this command solves a common problem. One of the most common reasons for pet parents to call a trainer is because their dog jumps up on people. Often I find that clients have been inadvertently reinforcing the “jump up” by yelling at the dog or even kneeing him (please don’t do either — it’s ineffective and not nice). So what’s the easiest way to stop a dog from jumping on people? Help! My Golden Retriever is perfect in every way but one: She goes bananas whenever anyone comes to our front door. She is never aggressive, but she gets frenzied and jumps all over our guests in her excitement. Is there anything we can do to stop her from doing this? Petition Calls for Cesar Millan to Lose His TV Show â€” Letâ€™s All Sign It! In a recent episode of “Cesar 911,” the TV personality used one of his own pets as bait for an aggressive dog who had killed pigs in the past. Both the pig and the dog suffered. As a professional trainer and someone who deeply loves animals, I have never enjoyed watching Cesar Millan handle dogs. In his role as a television personality on various programs, he often scares dogs in the name of training and seems oblivious to thisÂ fact â€” or he simply does not care.Â Heâ€™s been called out over and over again by countless organizations, professional trainers, and behaviorists for using outdated and physically painful methods. In his role as a television personality on various programs, he often scares dogs in the name of training and seems oblivious to this fact — or he simply does not care. He’s been called out over and over again by countless organizations, professional trainers, and behaviorists for using outdated and physically painful methods. A leash should be a sign of fun things to come, and it can be if you follow these four tips.